Slipped while the teams were coming out of the tunnel. An eager photographer, capturing the teams coming out of the tunnel for the start of the game, slips and falls backwards prior to kick-off in Wolves’ 0-1 win at Birmingham on Monday. 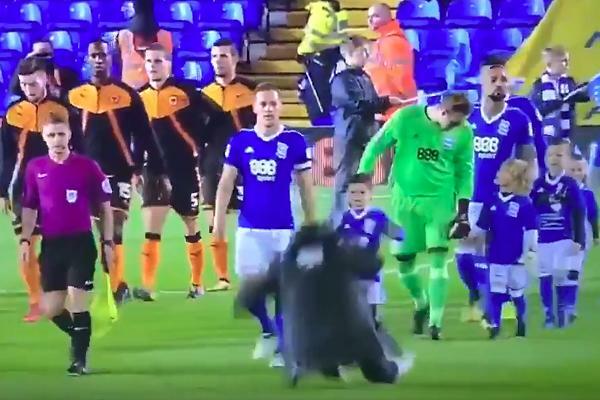 Caught on the television coverage of the Championship clash under the lights at St Andrew’s, the snapper is seen running across the pitch to get in position before slipping on the wet grass. The players, walking hand in hand with young mascots, watch as the man with the camera falls over.